cancer, we offer Mohs Surgery and an in-house pathology laboratory. Knott Street Dermatology also has an aesthetic department offering a full array of cosmetic procedures. Our providers accept most insurance carriers, and are available in two locations to treat all of your skin, hair, and nail needs. Dr. Eric L. Hanson earned his undergraduate degree from the University of Illinois. He received his medical degree in 1994 from Tufts University School of Medicine in Boston, MA, graduating with the distinction of Alpha Omega Alpha. He then completed a transitional internship at the Naval Medical Center in San Diego, CA, followed by a four-year military commitment with the US Navy in Groton, CT as an Undersea Medical Officer. While serving the diving and submariner community, CDR Hanson received many medals and commendations, including those honoring his service as a US Navy Diver, as well as his medical support for the Salvage Operation of TWA Flight 800 off the Long Island coast. 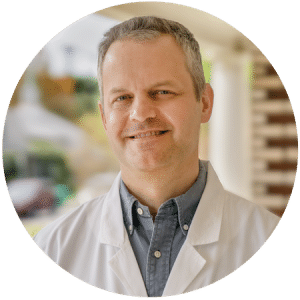 Dr. Hanson completed his dermatology residency at the University of North Carolina at Chapel Hill where he was named Chief Resident in 2002. Dr. Hanson is a board certified dermatologist and is actively affiliated with the American Board of Dermatology, American Academy of Dermatology, and the American Society of Mohs Surgeons. Dr. Hanson commutes to work on foot or by bicycle. He enjoys playing the guitar and brewing his own beer. Mara Limoncelli graduated from D’Youville College in Buffalo, NY with a combined Bachelors/Masters in Physician Assistant studies. She began her career working at an urgent care in Burlington, Vermont before moving to the Portland area in 2012 to join a family medicine practice. Mara had the opportunity to work alongside Dr. Hanson at an outside facility during this time, which began her interest in specializing in dermatology. She joined Knott Street Dermatology in 2016, and has had extensive training and mentorship by Dr. Hanson. Mara is board certified member of the National Commission on Certification of Physician Assistants and an affiliate of the Society of Dermatology Physician Assistants. Outside of the clinic Mara enjoys trail running, hiking, traveling and adventures with her border collie. Craig Schultz graduated from the University of North Dakota with a Bachelor of Science in Nursing, and went on to spend 5 years working in emergency departments throughout central Washington and the Portland/Vancouver area. He furthered his education by receiving his Masters in Nursing, with an emphasis in Family Medicine, from Washington State University in 2001. Craig Schultz has worked for Kaiser Permanente in Internal Medicine and Urgent Care, and as a same-day clinician at the Vancouver Clinic. He joined Knott Street Dermatology in 2007, and has had extensive training and mentorship by Dr. Eric Hanson. 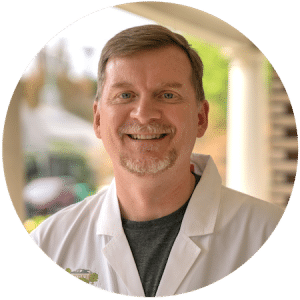 Craig Schultz is a board certified member of the American Academy of Nurse Practitioners, a Certified Dermatology Nurse Practitioner, as well as an affiliate of the Dermatology Nurses Association. Craig is an avid bicycle commuter, and enjoys spending his free time with his wife Michelle and their two children. Courtney Vesely graduated from South Dakota State University with a Bachelor of Science in Nursing in 2012. She spent over 2 years in dermatology as a nurse before returning to school to obtain her Masters of Nursing with an emphasis as a Family Nurse Practitioner at the University of Colorado, Colorado Springs. She completed her program in 2016 and moved to Portland, OR with her family shortly after graduation. 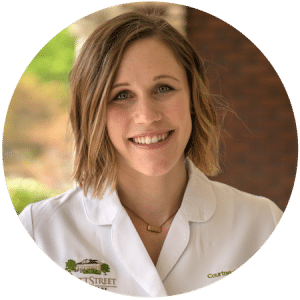 Courtney joined Knott Street Dermatology in 2017. She joins the team as the Aesthetic Manager and Treatment Provider. 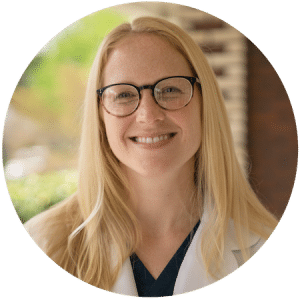 Courtney is a board-certified member of the American Academy of Nurse Practitioners and is an affiliate of the Dermatology Nurses Association. When she is not in clinic, Courtney enjoys spending time outdoors hiking and camping with her husband and their two sons. Dr. Mauro is a board certified dermatologist that practices in Hawaii and Oregon. He works at Knott Street Dermatology as a clinical and surgical dermatologist. 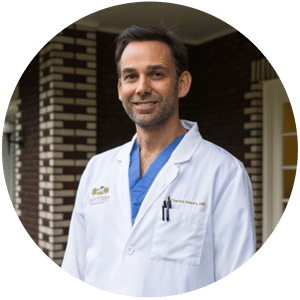 Dr. Mauro graduated from the Medical University of South Carolina where he was inducted into the AOA medical honor society. Next, he completed his medical internship at Stanford University. His Dermatology residency was completed in 2004 at the Oregon Health and Sciences University. Dr. Mauro has been in private practice in Hawaii since that time. Our clinical staff consists of Nurses and Certified Medical Assistants whose main role is to ensure optimal patient care and smooth coordination between patients and providers. All of our Clinical Staff receive the highest training and certification and are well equipped to assist you. Our administrative staff perform a variety of duties such as front desk reception, scheduling, insurance verification, bookkeeping and other tasks necessary for great patient care. At Knott Street Dermatology, our Aesthetic department is lead by Courtney Vesely, NP-C who performs all initial consultations and injections. Their goal is to provide you with a comfortable atmosphere for all of your aesthetic needs helping you achieve a natural, youthful appearance. Mohs micrographic surgery is a specialized, highly effective technique for the removal of skin cancer. The procedure was developed in the 1930s by Dr. Frederic Mohs and is now practiced throughout the world. Unlike other skin cancer treatments, Mohs surgery allows tissue to be removed in stages and examined under the microscope to facilitate clearance of abnormal cells while you wait. Due to the methodical manner in which the tissue is extracted and examined, Mohs surgery is recognized as the skin cancer treatment with the highest reported cure rate.